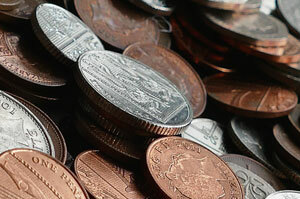 Cash is the money in our pocket, in our change bowl, our bank accounts and savings. But When Is Cash Not Cash? When people go to buy a property, unfortunately. I have lost count of the number of times I have been told by a buyer that they are cash buyers (the absolute pinnacle of buyer - an estate agent's dream) and because of their cash buying power, they want to push ahead of other buyers or reduce the offer that they are about to make. But estate agents and sellers should be very careful of such claims, particularly if it is to influence their decision as to taking one buyer over another or reducing their price. Call me old-fashioned, but to me cash is cash! Cash would mean that there is money sitting in a bank account unallocated to any other purchase, waiting there to pay the full amount of the property when called for. Many at a time I've heard the following sentences which mean that cash is not cash. Buyer: "Well, I'm a cash buyer, aren't I?" Me: "That's great. So you've got money in the bank." Buyer: "Yes, that's right as soon as I've raised a mortgage, I'll be a cash buyer." Buyer: "But I'm a cash buyer, aren't I?" Buyer: "Well, not really. As soon as my house sells, I don't need a mortgage, so I'll be cash then." To get it straight, these two people are probably perfectly good buyers but they are not, I repeat not cash. Here's another way that a cash buyer can become a cash-ish buyer. When they have money in the bank unallocated and waiting for the property purchase, but in order to get a good interest rate, they lock the money away in a bond or saving account that requires 3 months+ notice before withdrawal. Why should you put them to the front of the queue when you know that the minimum completion date is 90 days away? I've also dealt with cash buyers who, when it comes to the crunch have not proceeded because the shares that they were intending to sell to provide the cash have not performed quite as well as they would have liked and they are not willing to trade them in in order to buy a property. Clarify exactly what kind of buyer you are getting. Cash must mean cash! Get proof, there are plenty of ways to demonstrate that the cash is sitting there by showing a bank book, statement or internet printout. Accept nothing less. Last updated on 04/03/2013 by Jonathan Rolande.